There seems no elegant way to begin this little fractured fairy tale, so I’ll get on with it. I was seated on the false throne upon which I debase myself before Mother Nature every morning. Ah, but the Grande Dame had a new experience – and task – in mind for me today, telling this story apparently. But there I was, hearing the strangest commotion, a few feet away from me. Deep inside the tall walls of my flat’s old-fashioned claw-footed bathtub, a concentrated cauldron of circular chaos had erupted. This particular concentrated cauldron of circular chaos is named Chloe, so perhaps this was inevitable, you C.
Chloe is my very intelligent but slightly crazy cat. But what the hell was she doing in the tub? The shower curtain was pulled away, behind the free-standing tub, so it wasn’t occupying her, as it sometimes does. Then, her well-rounded, open-air fits and starts all of a sudden fell into place in my still-groggy morning mind. You probably know how much cats like to get into circles. Now you know how tantalizing Chloe’s white tail is — to that end — sometimes, especially to her. I think she’s chasing her tail! She had hopped into the curved end of bathtub which may have sent her mind into a circular tizzy. So I leaned over to get a better view of the action, and sure as heck. She was not only chasing her tail, she was stalking it, as cats are wont to do. 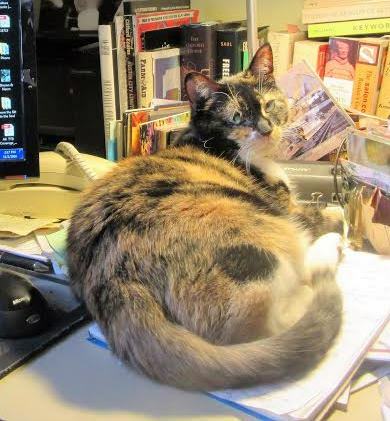 Chloe happens to have a white tip on her darkly mottled Calico tail, which seemingly was now contributing to her self-involved intoxication, this small “I” of a tornado. So part of her body waved the tail tip tauntingly at her face from below until she could stand the tension no longer in her contorted, curled-up crouch – She had to attack! But, spinning madly, she failed miserably, of course. Still, she was now hell-bent on capturing the monstrous tail, dead or alive!! Like a manic ghostbuster chasing down the thump of an accursed, beating, disembodied heart!!! I imagined Edgar Allan Poe nodding in demonic glee from his grave somewhere in New England. Meanwhile, I also envisioned something else, A Red Badge of Courage, forming mystically upon Chloe’s furry breast. Again, the tail swayed slowly back and forth, mockingly. Again, she pounced in ferocious, temporary (I hoped) insanity. And again. I swear, this went on for several minutes and I figure that she traveled several cat lifetimes in pursuit of the white, phantasmagorical mouse she had trapped. What goes through the mind of a cat in such times, aside from the wind blowing in one ear and out the other, registering a small echo in the empty cavern of her brain that sends her on such wild goose chases? No wonder, it was a wild goose, or at least a goose poking its head up out of a hole in the ground. Wow, that sounds pretty tantalizing, to even me. The reporter in me finally kicked in, and I thought, I can maybe capture some of this on video, for proof, if I can only reach my camera. Done with my duty, I tiptoed into the kitchen, loaded the recharging battery into the camera, and made my way back. Of course, the tiny click and whir of the camera mechanism going on caught her attention, and her interest in the wild goose, or mouse – that, in fact, chases her all day long – suddenly abated, and she hopped out of the top with her little “Geronimo!” meow and was gone. 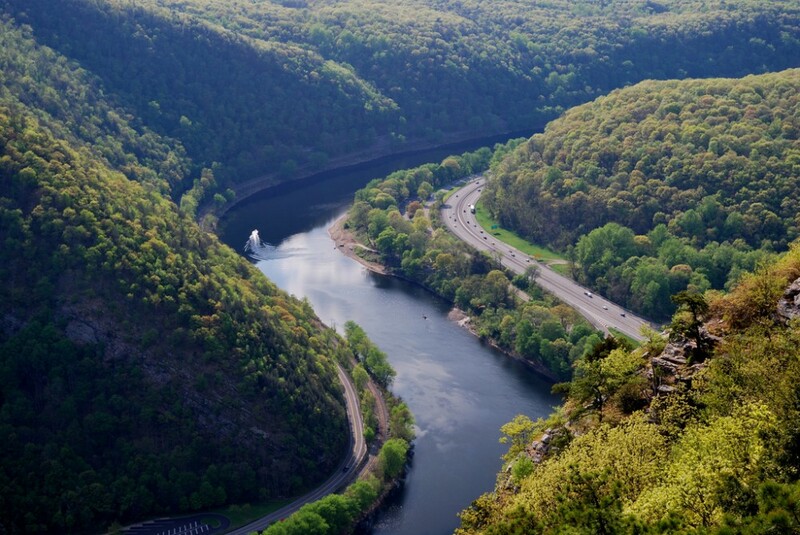 So now, rather than visual proof, you have merely my words and your own imagination to contemplate this modest wonder of nature. Or the truth of its telling, a tall order in these topsy-turvy political times. Was this somehow a metaphor for dear, confused America, today? Or was the tail a mere fairy? I guess it’s time for me to get to work, while you contemplate. If you happen upon any cosmic insights, please leave them here. 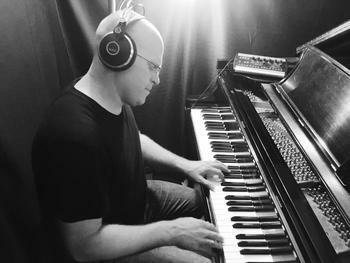 The Tim Whalen Trio will perform on Thursday, April 6 at The Jazz Estate in Milwaukee. “Oblivion,” the title of a Bud Powell tune, might be the single best word to describe the great pianist’s sad legacy. 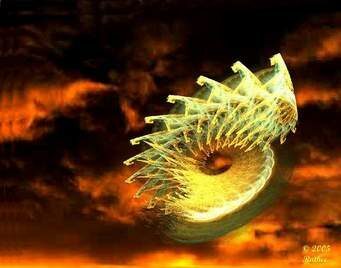 His name is in need of desperate repair, ravaged by the winds of time and his own peculiar fate. 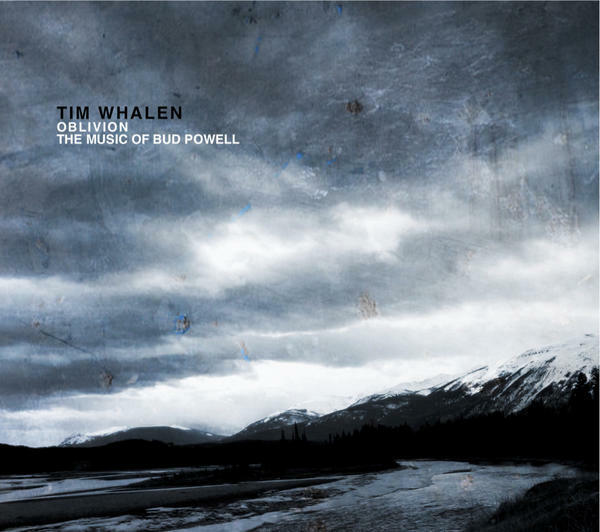 Pianist-composer Tim Whalen has gone a considerable distance in accomplishing that with his album Oblivion: The Music of Bud Powell. But we must backtrack a bit to understand the title’s significance. 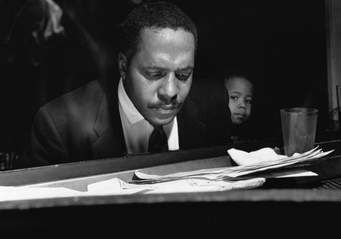 It remains a matter of bald historical fact that Bud Powell was the mid-and-late 40s bebop era’s most sought-after pianist, yet he remains to this day probably the most underappreciated, given his true stature. His direct contemporary Thelonious Monk has had his day in the sun, something to be celebrated, thanks significantly to a composing style apart from, and more easily congenial, than the hard-core bebop that Powell excelled at. And their stories interwtine and lead to perhaps the most fateful day of Powell’s career, which also speaks to present-day concerns about police brutality against unarmed black men. Regarding the deleterious effects of shock treatment, I can attest, as it has been still used in recent years in sophisticated hospitals and clinics. I witnessed shock treatments given to my late ex-wife who suffered cognitive damage after undergoing them at the Mayo Clinic and other facilities. Monk, for one, remained much attuned to Powell’s travails. “Bud was a genius, but you know, he was so sick, and now he’s fragile,” Monk once recalled. Another time, Monk commented, “Bud is beautiful. But he’s not doing so well in America, he’s sleeping in the gutter.” Those are both quotes from Kelly’s copious Monk biography, which amounts to a new sort of definitive history of the bebop era. Nor have I done Powell justice over the years, having become enamored of the late recordings he did of Monk’s music for Verve Records (and his Portrait of Thelonious on Columbia), to the neglect of Powell’s earlier work. Those Monk recordings somehow managed to be marvelous but were recorded long after he had lost his prime bebop musical facility and suffered from many medical peaks and valleys. 2. All of this underscores the importance and value of Whalen’s recording, which he will be playing from when he performs Thursday, April 6 at The Jazz Estate in Milwaukee with bassist Jeff Hamman and drummer Dave Bayles. Comprising all Powell compositions except one by Whalen, Oblivion opens appropriately enough with “Hallucinations.” It conveys how much Bud possessed a spirit as high as his tragic bop kindred Charlie Parker. Whalen’s solo pushes hard, as if pressing to make a point about the tune’s odd juxtaposition of exuberance and sense of suffering. His heavy percussive attack recalls another bop-era pianist Eddie Costa, although he negotiates the knotty changes with aplomb. What follows is one of Powell’s dazzling masterpieces, an impressionistic miniature comparable to Duke Ellington’s “Daybreak Express.” After a fine chordal intro, Powell’s “Parisian Thoroughfare” glitters with an ensemble line evoking a bustling street scene, with the band sounding like a crazy chorus-line of dancing cabs in a Folies Bergere fever dream. Whalen finds fresh inlets of light by carving out spaces and adding garlands, a sort of blending of street smarts with Francophile ornamentation. Tenor saxophonist Elijah Jamal Balbed is a modern post-Coltrane player with a rich yet grainy texture to his tone that alludes to classic tenor players and adds an offhanded gravitas to his playing. Guitarist Paul Pieper proves a swift co-conspirator in Powell’s most challenging harmonic gauntlets. Drummer Sharif Taher here has a powerful chugging style reminiscent of Tony Williams. “Kind Bud” is a deeper, darker aspect of Powell’s bebop and for its blues lament, almost intimates a political statement about the tragic fate of such a gifted artist, especially regarding his awareness of his place in society as a black man in a white man’s world. “Un Poco Loco” is another ironic commentary on his own afflictions and perhaps the album’s hardest swinging tune, especially on Balbed’s surging sax solo. Whalen, by contrast, allows the music to breathe a bit, while never betraying the tune’s structural integrity. The CD’s ensuing “Blue Pearl” is a rather glimmering beauty with a slight Latin tempo. The comparatively little-known tune has a lapidarian quality, reflecting a craftsman of precise discipline that begets beauty. Here and elsewhere, bassist Eliott Seppa’s harmonizing with the piano-guitar-saxophone frontline recalls the Heath Brothers at their peak. One would expect the title tune “Oblivion” to sound as abject as say, Billy Strayhorn’s “Lush Life,” but the band understands it as a “bouncing with Bud” blues that signifies a devil-may-care attitude. That suggests Powell’s peculiar brilliance as searingly self-possessed in the knowledge of how his black genius was betrayed. Yet he’d never let on, never let you see him pitying himself. Sometimes Powell’s themes and solos can be almost overwhelming, but you get a heaping helping of bop at its most modernistic and visionary and yet with a long shadow cast over it, as the CD cover’s noirish watercolor landscape superbly conveys. So perhaps even now, this music isn’t for everyone, but there’s no doubt it’s a bracing and historic statement of an art form evolving to extraordinary artistic heights. Whalen offers his own ode to Bud, in “I’ll Keep Loving You,” a brooding ballad that feels like a stealthy suitor stealing into the beloved’s heart even if the lover’s been long gone, off in another world. Still, Whalen and company assure that Bud Powell has returned, in hallowed honor. Whalen is a distinctly ambitious musician who has led both a popular R&B/funk jazz ensemble and a nonet, largely of Madison-based musicians, for a number of years. Among numerous accomplishments since moving to Washington DC in 2010, he orchestrated the string arrangement for the Oscar-winning song “El Otro Lado del Rio” by Jorge Drexler from the film The Motorcycle Diaries. 1 Alyn Shipton recounts Powell’s triumphs and tragedy in his A New History of Jazz on pages 491-495. Nutria includes Shawn Myers, drums; Byron Asher tenor sax and clarinet; and Trey Boudreaux, bass. Courtesy nutria.bandcamp.com. 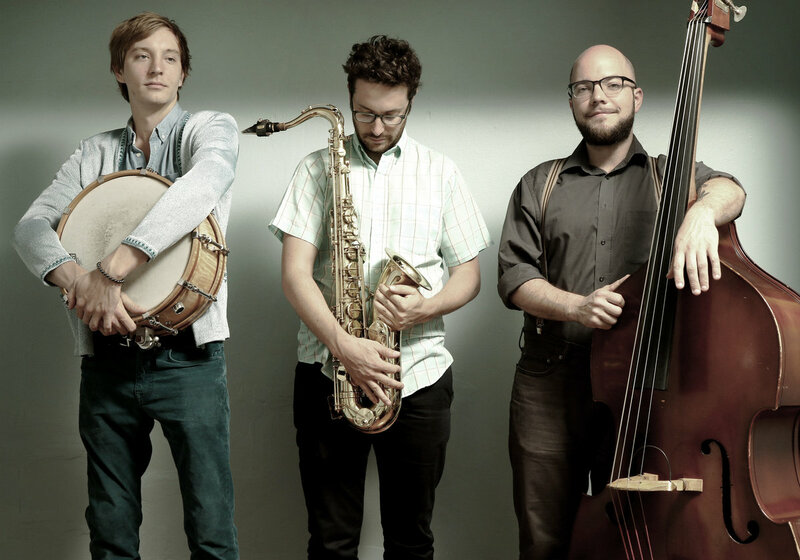 Nutria, a jazz trio, will play at Company Brewing, 735 E. Center St., in Milwaukee at 10 p.m. on Thursday March 23, on a bill with Mrs. Fun. Nutria will then perform two sets at 7 p.m. Friday, March 24, at The Jazz Gallery Center for the Arts, 926 East Center St.
How can you not be disarmed by a jazz band’s self-description, which begins so unassumingly, that willingly allows the band’s identity to wallow in such dank, swampy realms. Though the nutria may be “infamous,” probably for his cagey and nefarious ways, one can assume that the scuffling rodent does so for the sake of merely scoring a meager meal he might scrounge up from bits of human detritus. 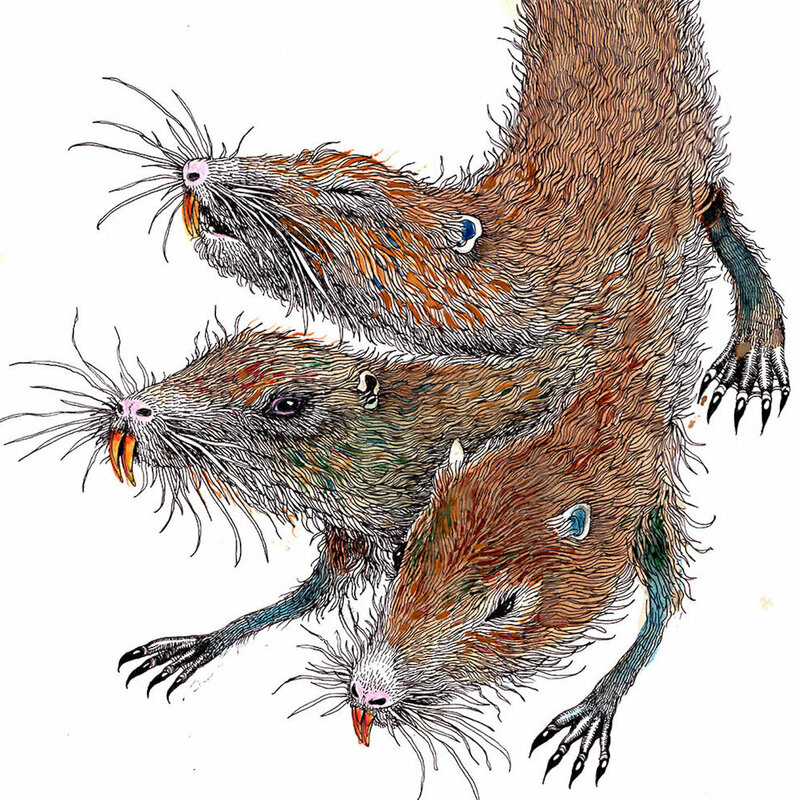 A fanciful illustration of the “notorious” South Louisiana swamp rat called nutria. Courtesy nutria. com, the website of the jazz band named for the critter. Nutria’s greatest association with fame to date may be a hat made out of the rat’s fur which Elaine Benes uses in a Seinfeld episode. “The Chicken Roaster” affair opens with Cosmo Kramer unwittingly becoming addicted to the roasted chicken of a Kenny Rogers fast-food franchise that beams its sign into his bedroom, disrupting his sleep. 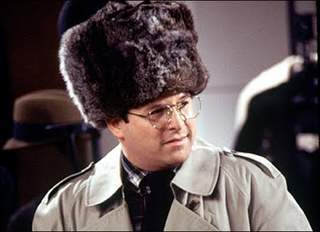 In a subplot, Elaine charges $8,000 to her employer’s account for an extravagant Russian sable hat, for the sake of George Costanza, who covets it. But hapless George leaves it behind at the apartment of the hat sales clerk, in hopes of getting a second date with her, after he typically subterfuges his own first date. Given such sorry cultural province, there’s clearly self-effacing humor at work with this jazz trio but also, one discovers, a clear strategic intelligence and inventiveness that cajoles listeners to allow the mangy nominal being its small corner space in our environment. Indeed, is it beneath us to throw him a scrap from a deserted plate of food? “Ghosts Before Breakfast”: A brooding opening melodic ambiance. Then a tempo arises, an almost tiptoe gait, and the second chorus becomes more syncopated and playful. Then improvisation seems to begin. As with the theme, the solo honors space and grace, while gaining momentum. Byron Asher’s large, generous tenor sax tone and melodic invention recall Sonny Rollins. “Call to the Air”: The bassist Trey Boudreaux opens, with Shawn Myers’ simmering drums and Asher again evoking Rollins in the jump down to a low, fat register. De-da-deeee. The bass and drums now fairly dance and the tenor circles languidly around the buoyant tempo. Then Byron inserts more rhythmically sharpened phases until he unleashes more fire while still showing respect for space, in an unhurried manner. As the tempo does pick up he fills that with rich tones and tart phrases. The groove carries on over a supple two-note sax vamp. “The Hero” (Live at Old Mint, New Orleans): Here you feel the essence of Nutria’s very congenial style. A punchy groove is driven by the bass. At one minute, Asher’s clarinet enters, with a nifty little pirouetting riff theme. His solo characteristically works off his bandmates’ rhythm and this is the most swinging piece so far, with a bluesy ambience, yet the mood is buoyant and frisky. The bass solo is bounding and seems to possess some of the character of a person who asserts a stance in a manner potentially heroic. The clarinet returns with stalking phrases and ends with a witty little conversation with bass Boudreaux. The use of the clarinet reflects the timeless New Orleans tradition but the music is decidedly more contemporary than traditional New Orleans music. “Trini-Gul” : Here’s the Sonny Rollins calypso approach, the tenor in a gutturally masculine-yet-songful voice sustaining the almost celebratory dance-like melody and feeling. A bass solo follows, then the tenor solo extrapolates on the mood and the tricky but amiable melody. “Gloomy Pirate Tale”: A minimal six-note sax riff finally releases and melts into an exposition which, at first, unfolds languidly then becomes increasingly voluble, one of Asher’s most inventive solos, in its scupltural twisting of rhythmic ideas. A unison bass-sax line seems to pose questions about the pirate’s gloomy tale, certainly something worthy of skepticism given the sly and avaricious nature of pirating. Back to the six-note riff, a curious tale indeed. As a postscript, look closer and you might see a water-logged nutria tiptoeing carefully across a hawser of the pirate ship, in search of tasty contraband. “Knowing” opens with a brief, mournful but expressive bass solo reminiscent of the late Charlie Haden. The sax’s long whole notes slide into a tender theme, then shift to a high register and conveys lyrical insight of a situation or circumstance, all suggesting the nature of this “knowing” is sad, regretful, and only provisionally hopeful. But it’s a lovely piece of music with a strong psychological character and resonance regarding the nature of knowledge and, by extension, truth. This, of course, speaks ironically to out current political miliue of “alternative” facts, compulsive lying, and outright slander. 1 Thanks to Seinfeld aficionado Ann K. Peterson for reminding me of this episode. It seemed to coalesce with the faint memory of this line from the traditional Irish song “Carrickfergus”: “My boyhood friends have all passed on, like the melting snow.” And I sure enough, such thought had finally roused something within when I had dinner a few days ago at the excellent Irish restaurant County Clair with four of my oldest friends, going back to high school and beyond, all of us now graying and slightly fading, compared to our youthful primes. And further arose within the shadow of perhaps my best friend, an Irishman named Jim Glynn – a paraplegic Vietnam-era veteran with a great passion for life, women and music – who has indeed passed, and returns only in the spring glisten of thirteen melting snows, since his death in October, 2004. 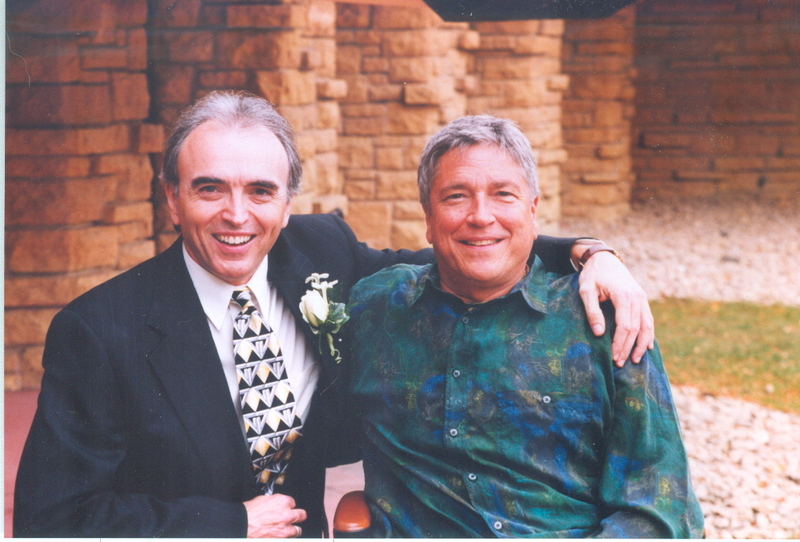 A great friend and a great Irishman, the late Jim Glynn (right) with me on the occasion of him serving as best man at my second wedding. And I was again immersed in Heartbeat‘s winsome beauties, feisty spirit and stunning arc of trans-Atlantic wonders. The toe-tapping album opener “Star of the County Down” boisterously celebrates the memory of a romantic memory. “There is no maid I’ve seen/ like the brown Colleen/ that I met in the County Down.” The lyrics summoned, for me, the memory of such a lass I’d met and known, a brown-haired Irish lass named Colleen from long ago, and then another, a German blonde Colleen from just a few years bye, and all- too-soon married. Her memory perhaps had been an ancestral response, too, as I’m as German as I’m Irish. Then, another song fairly ambushed me, “As She Moved Trough the Fair,” which plays usually as a more upbeat song, as a dream of an impending wedding. 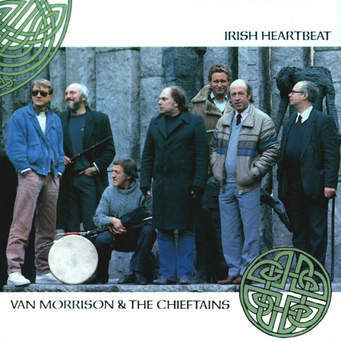 But what Van and the boys do with it is like a haunting, as Rolling Stone‘s review noted the song, in their hands is “as overcast as an Irish afternoon” and, to me, a bit more like a fog rolling through the stark but sensual Irish hills, like the entourage of a ghost. They make you sense that the story’s really just a dream of love lost, but one that’s too hard to shake. I could go on, but the Irish sap in me might get lost in mists of memory and melody and end up croaking “Danny Boy,” and the jig would be up for me, and for my poor suffering cat Chloe. So please, don’t just steal away their artistry by merely listening on YouTube. If you like the music, buy the LP or CD or legal download as it was conceived and created, and give these artists their due. So I’ll leave further discovery of Irish Heartbeat to you. 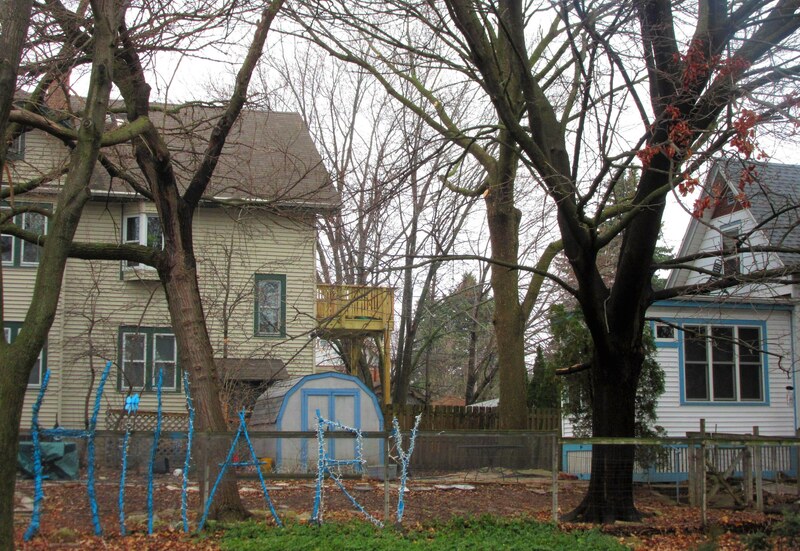 I have lived in a number of neighborhoods in my lifetime in Milwaukee and Madison, most of them quite congenial: A south side family bungalow right north of a Mitchell Field take-off strip where giant jets shook my youthful body and imagination with sonic booms. In Madison’s Nakoma neighborhood, a house influenced by Frank Lloyd Wright’s prairie style, and engulfed in tall pines, and a few blocks away from the city’s splendid Arboretum. But there is only one neighborhood that I have returned to reside in, for a second time by choice, and that is Milwaukee’s Riverwest. I originally moved here when I bought a duplex with my sister Nancy In the 1980s, which she still lives in. 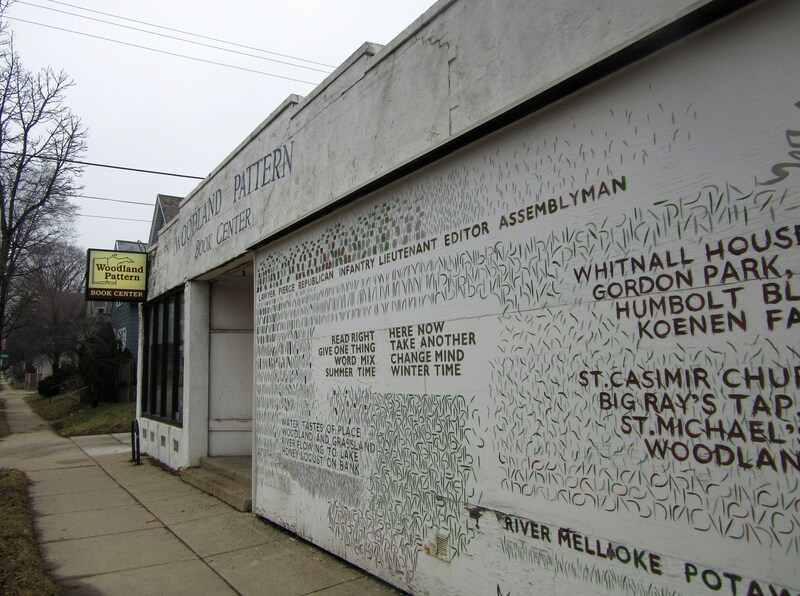 It was a period of great cultural and political vitality, and an ideal location, as much of my journalistic work then was covering music at the original Milwaukee Jazz Gallery, right in the neighborhood, for The Milwaukee Journal. So, when I moved back to Milwaukee from Madison in 2008, I knew I wanted to return to this unpredictably diverse, slightly funky and always vital region. The following photo essay comprises images compiled on a walk the full-length of Riverwest on the street that I live on, which ended on the North Avenue water reservoir overlooking downtown. I’m sure any number of other photo portraits could be made by taking different routes around this consistently vibrant neighborhood. But this is mine, from a walk taken the last day of February as the smallest buds began to claim their place and space to grow into. 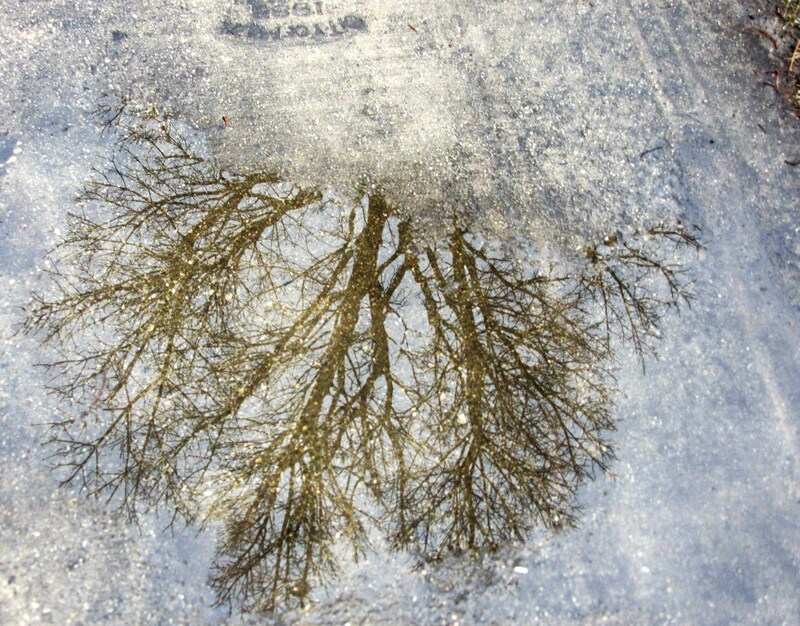 This image characterizes the interface of the urban and natural surroundings – an old, weathered Riverwest sidewalk and a crystal-clear puddle, revealing the tree overhead in which you can just sense the tiny buds emerging from its tips, reaching out to the sky’s fleeting blues. I’d also call this a Katrin Talbot photo, because she consistently gets highly observant shots of small or even grand beauties often standing right under our distracted noses, or toeses (Yes, I’m talking to “smart phone”-addled pedestrians.) Katrin is a gifted Madison photographer, poet, and symphony musician whose Facebook page I recommend you check out. Here’s a block of houses that perfectly reflects the architectural characterization of Riverwest residences as depicted in the neighborhood signs recently placed all around our neck of the woods. The sign also suggests the way Riverwest overlooks downtown, especially from its high point, the North Avenue water reservoir. It’s an absolutely big sky view of downtown, perhaps the best that a pedestrian can find. Though I did walk to the top of the reservoir on this day, I did not include that city skyline view, because the subject here is Riverwest. 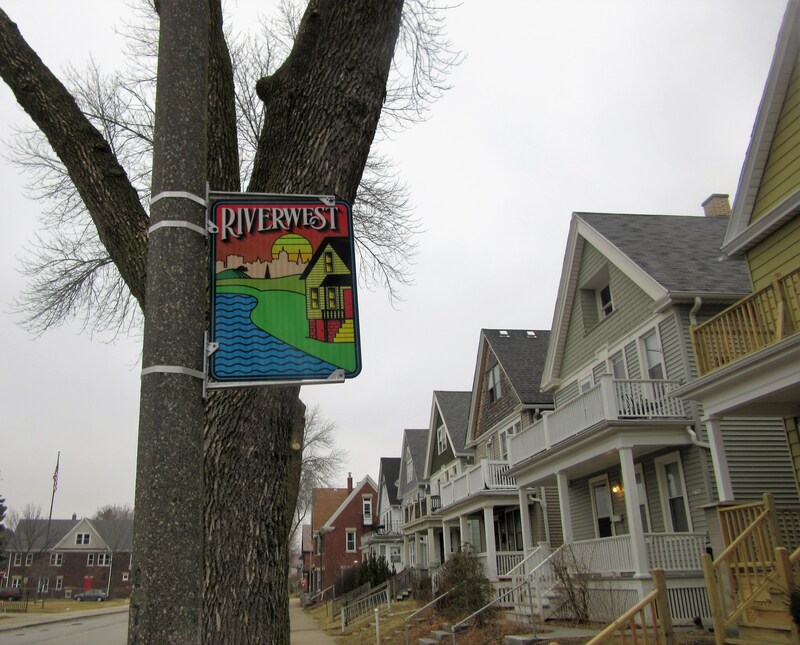 If the iconic image of the new Riverwest signs captures the neighborhood reasonably well, the next two images help dispel some of the stereotypes about who lives here. And I didn’t have to go far to find these – they were actually the first two photographs I took. 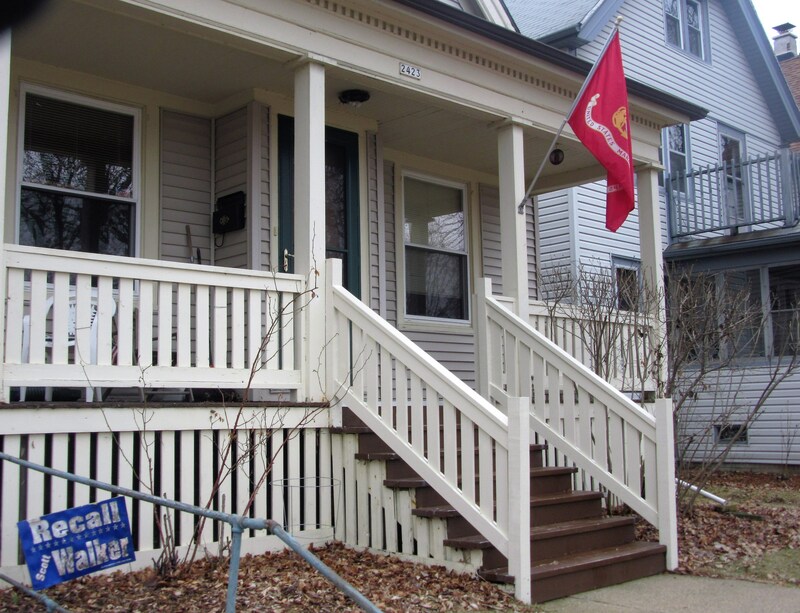 In this one above, the apparent residence of a United States Marine proudly displays his or her service flag. And yet, this resident resolutely keeps this blue sign out front, long after the intensely contentious and politically transformative 2011 recall effort to remove Gov. Scott Walker. The neighbor’s long-standing statement of dissent might not seem typical of a highly disciplined military person, nor such a person’s typical politics. But it reflects a well-trained person who understands the role of a true citizen and patriot. I see it as an excellent example of the independent thinking one finds in this neighborhood, even if a majority of residents probably lean from the center to the left. Here’s another charming Riverwest stereotype refutation, and a close neighbor of the Walker-protesting Marine above. Clearly not everyone in the neighborhood is a lefty secular humanist, agnostic or atheist. The number of venerable, still-active churches in the neighborhood testifies to that, even if their attendance tends lower than it was a few decades ago. 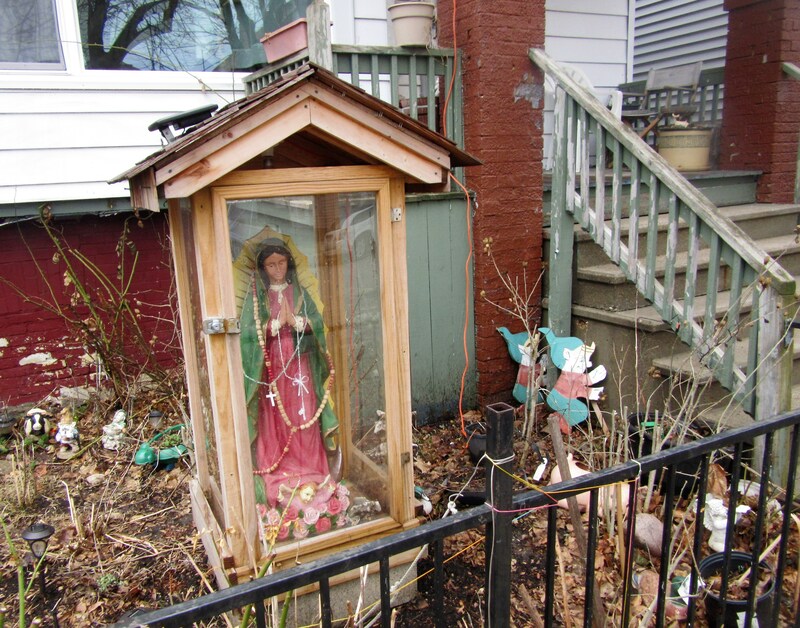 But these Riverwest neighbors put their love of Jesus Christ’s mother Mary out front for everyone to see, along with the rather mischievous-looking elves scampering around to behind her. There is certainly a profusion of artistic types in our neighborhood and here’s a delightful example. 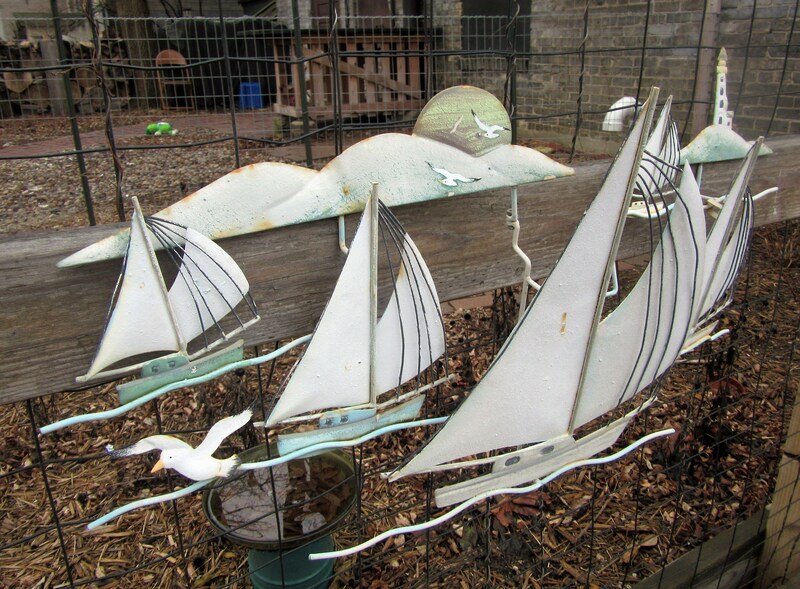 This painted metal relief sculpture gives you an idea where this resident might be if not at home – out on the waves amid sun, the clouds, the birds and aquatic sea life. It alludes to how close we are to Lake Michigan, just across the nearby Milwaukee River for which we are named, and yonder, though Shorewood. The literacy of Riverwest residents is somewhat of a given, but our valuing of the written word is something we share with our community. 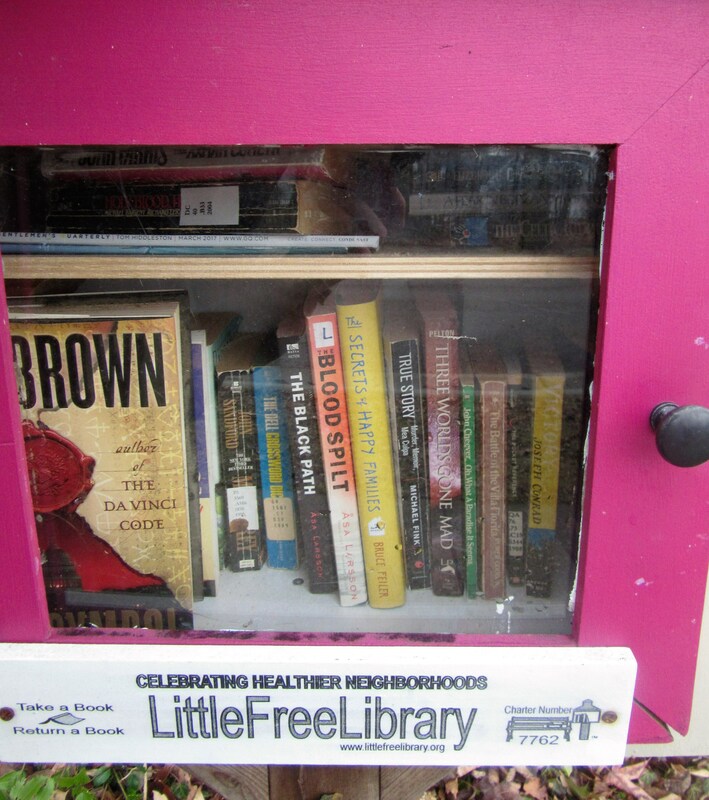 On my walk down my neighborhood street alone, I counted four “LittleFreeLibraries” such as this one. There’s some predictable titles, such as one by mega-selling Da Vinci Code author Dan Brown on the left. But also discover, if you look closely, a copy of the last book that the late, great John Cheever wrote, a slim novella titled Oh What a Paradise it Seems, a characteristically bittersweet observation, published shortly before his death of cancer in 1982. Also note, on the far right, a novel by the great Polish-American novelist Joseph Conrad, author of Heart of Darkness, Lord Jim, Nostromo and The Secret Agent. This slightly less well-known Conrad novel is Victory published in 1915, a psychological thriller set on an Indonesian island, and which draws from Shakespeare’s Hamlet and The Tempest. “I’ll take ’em!” another dude piped up, and the not-so-secret sharer delivered them to him. At what other restaurant would you see such an open act of sharing between perfect strangers, regardless of conventional decorum? That’s Riverwest, for you. At the “fork” in one intersection, I took the path more traveled for me, which has often made all the difference. 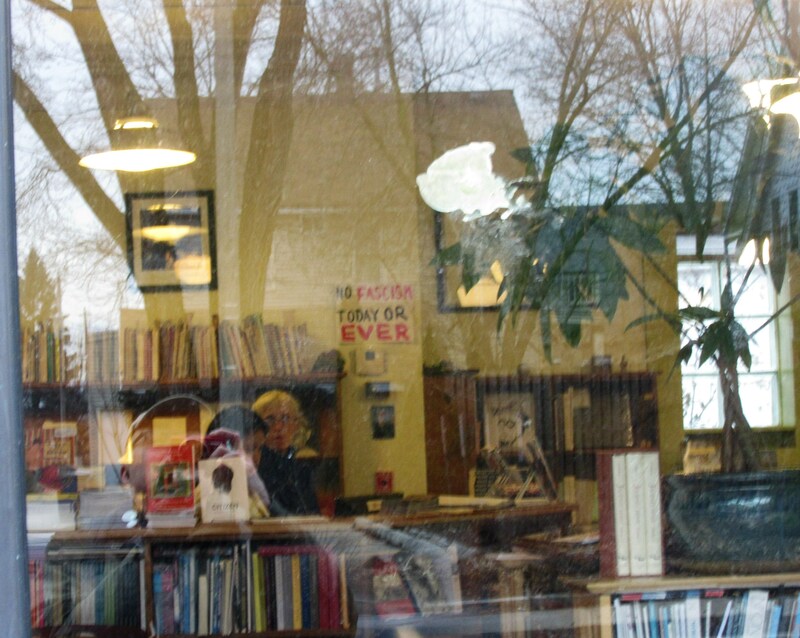 That led me to Woodland Pattern Book Center, on Locust Street, which may be the intellectual and perhaps, despite all the churches, the spiritual heart of neighborhood. The long, white facade of the building announces it’s utterly unique nature. The facade changes from time to time, with varying names, quotations and imagery usually signifying human life, intellect and expression in relation to the grand natural environment we share. Woodland Pattern specializes in small press publications, and it may be the largest such collection in a bookstore between the coasts. 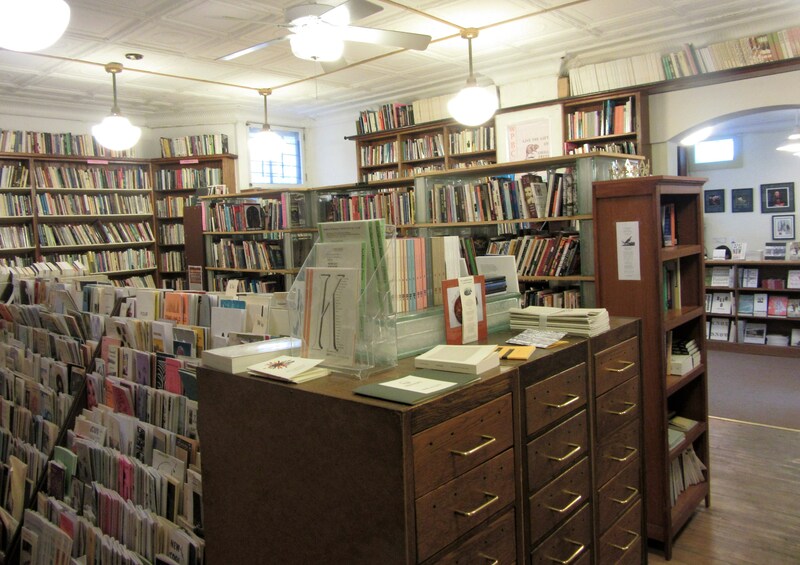 You will especially find a vast array of poetry in full book form, and in numerous chapbooks on the card rack-like display in the photo above on the left, and even more of an eccentric collection of chapbooks in the file cabinets in the foreground. 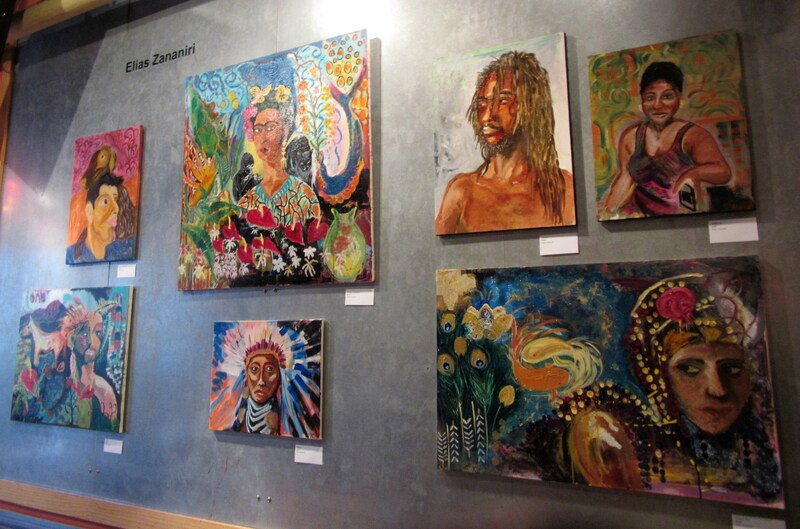 The center, co-founded by artist Anne Kingsbury, regularly presents a stimulating panoply of cultural events – author readings, regular art exhibits in its far third room, and concerts of exploratory and avant-garde music, often improvisational in nature. For all of this, Woodland Pattern sustains its highly non-commercial offerings by having established itself as a valuable state cultural resource. So it gets a fair share of grants and government funding but also relies on the membership of its patrons. I renewed my membership on this visit, and picked up a small book by the great nature writer Barry Lopez called The Rediscovery of North America, which was actually a Thomas D. Clarke lecture Lopez gave in 1990, a sort of meditation on Christopher Columbus and the history of rampant exploitation of The New World’s astonishing natural bounty and indigenous peoples. The Spaniards began the cruel plunder, which continues as a large part of our capitalistic mentality and political culture. But Lopez also posits hope and evidence that we are “rediscovering” our own continent with a newfound caring, partly by listening to what our indigenous peoples and species have to tell us. Before leaving Woodland Pattern, it’s worth noting the distinct and timely political consciousness that the store conveys, as evidenced by the sign in the middle of this photograph, taken from outside on the street. 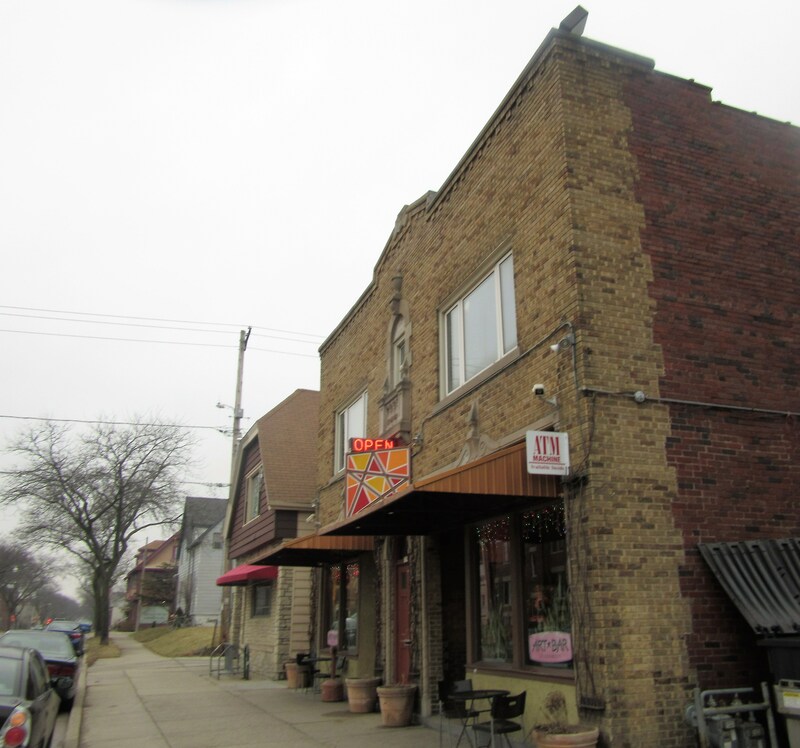 I would’ve like to have stopped into another neighborhood institution, the Falcon Bowl Hall, on the corner of Clarke and Fratney Sts., but they were closed and, as a neighbor told me, they open maybe at five or seven but it’s very unpredictable. The Falcon bar has a bowling alley in his basement, a true working-class, middle-America past time that again goes against the grain of typical perceptions of this neighborhood. 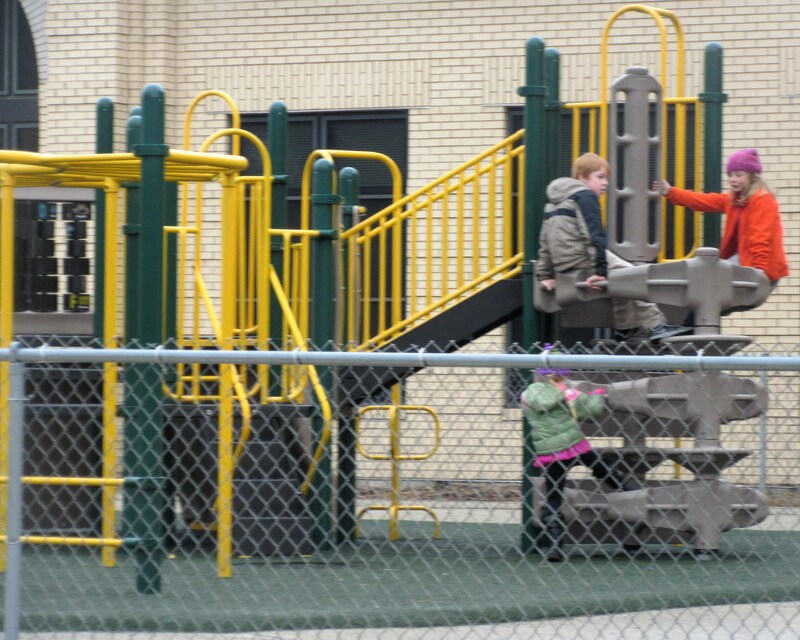 It will also host the Riverwest Follies at 7 p.m. Saturday, March 25. 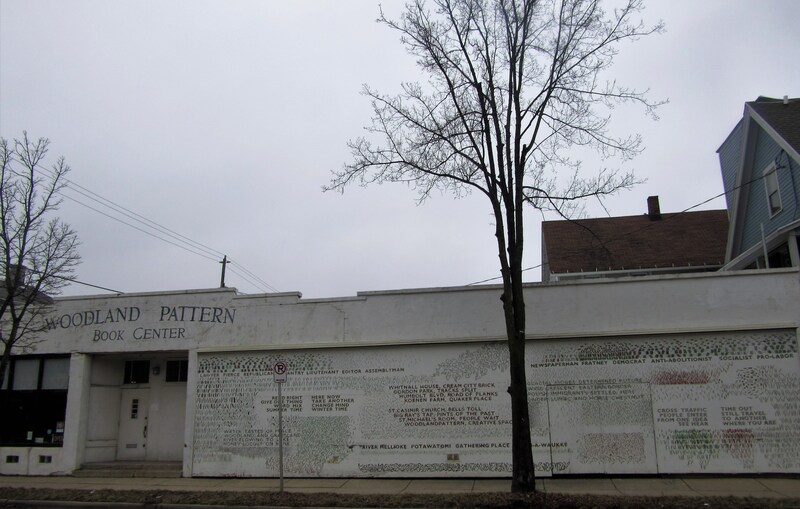 Another closed place I bypassed this afternoon was the Jazz Gallery Center for the Arts on Center St., which continues the storied tradition of the original Milwaukee Jazz Gallery in its own way, as a multi-arts center, which I’ve written about quite a bit on this blog. 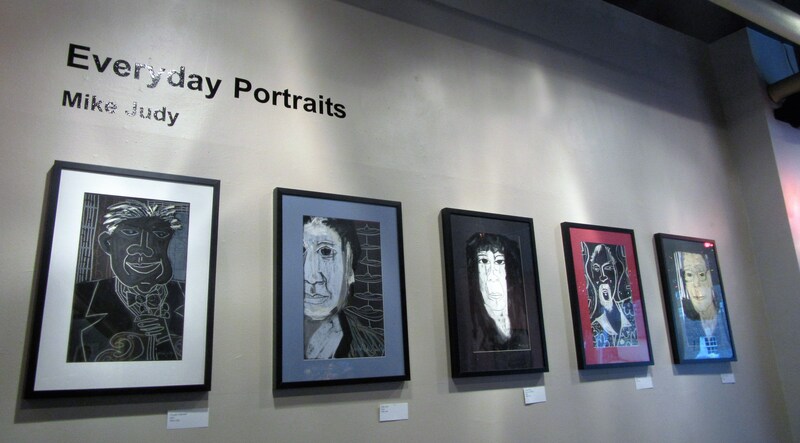 But another local bar did beckon me, shortly after 3 PM, with open doors, and typically alluring artwork. 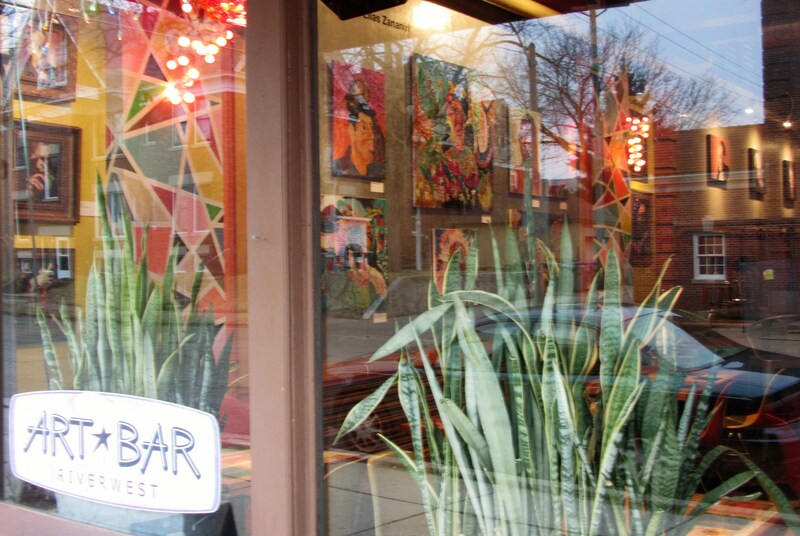 The Art Bar on Burleigh St. is my favorite tavern in Riverwest, and probably in Milwaukee, the city of taverns. That’s mainly because I’m more of an art lover than an alcohol imbiber. Besides the artwork in regular changing exhibits, the place also has a pool table and a dartboard, both which get regular use. Ah, but the art! Look above in another front-window shot, peeping in on the vividly colorful work on display, a group show of portrait painters. Among the current Art Bar exhibitors, Elias Zananiri (top) shows personages with deeply radiant ethnic ornamentation and expressivity. 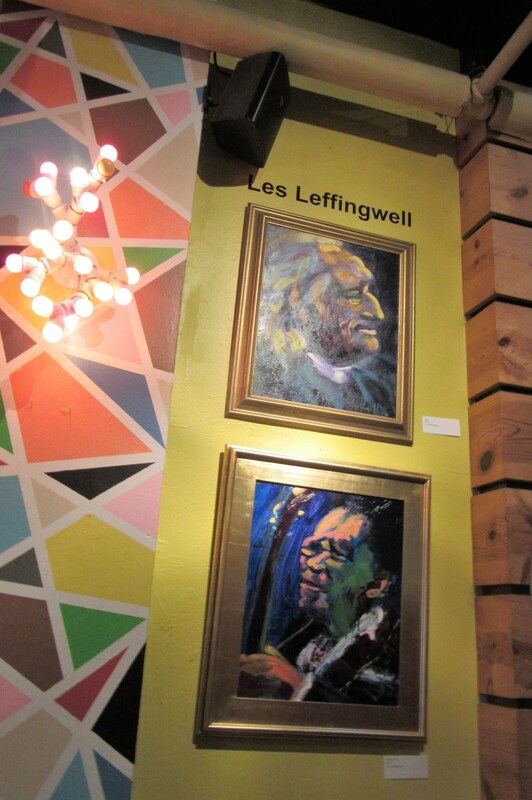 Les Leffingwell (above) meanwhile provides a personal inlet into the troubled but resilient souls of blues musicians. Mike Judy shows that an eccentric and humorous portraiture style can figuratively capture humanity with its pants down while allowing them a measure of personal dignity. 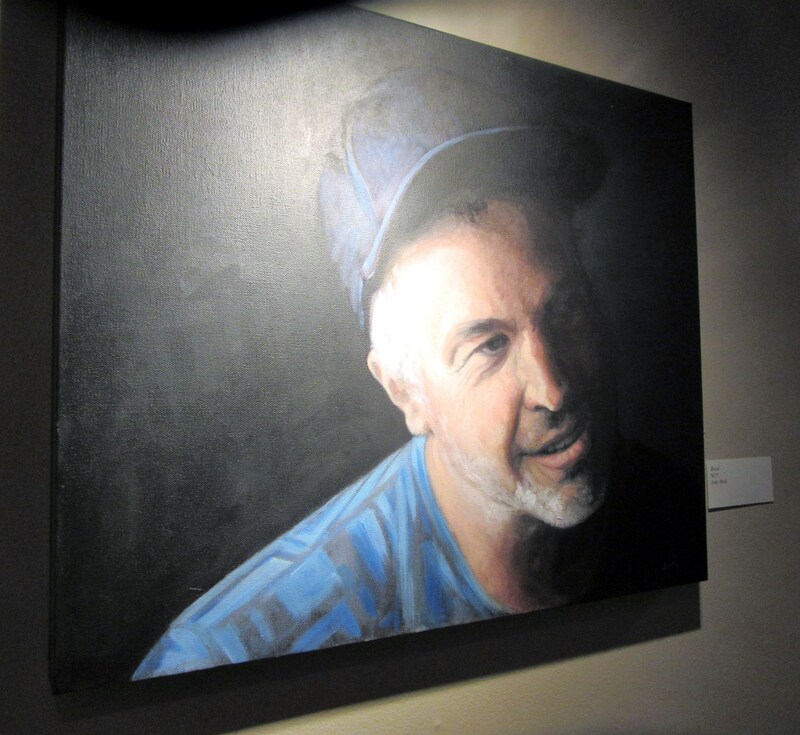 “Everyday Portraits” by Jody Reid includes this affectionate, virtuosic and insightful portrait of a guy named “Brad.” It’s worth zooming in for some of the detail of the oil canvas. 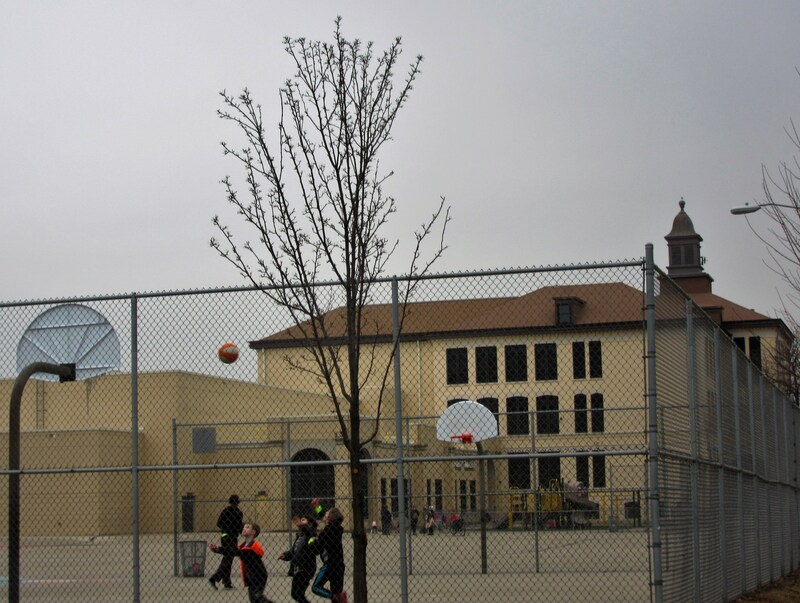 Further on down the street, I got to Fratney Street School, a highly-regarded bi-lingual elementary school, with some very small kids shooting a multi-colored basketball (top) and a very exclusive conference of two – make that three – young girls on this ingeniously engaging jungle gym. 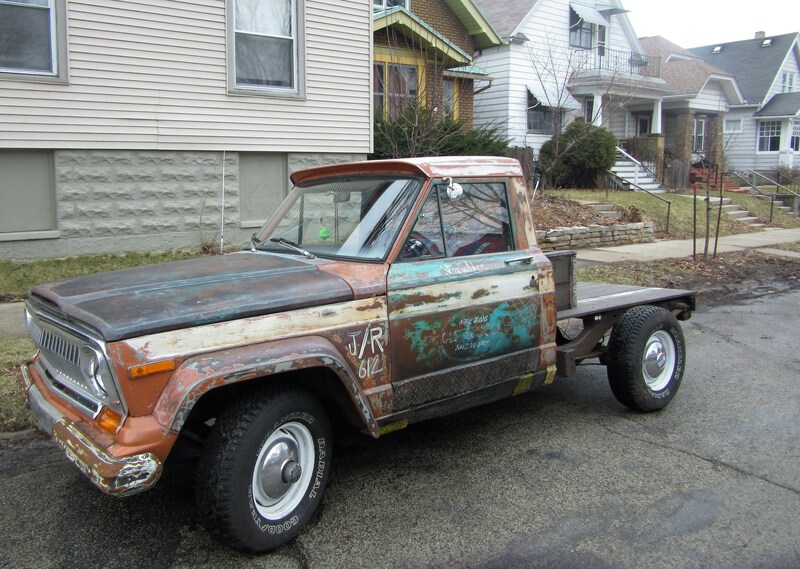 Riverwest also expresses itself in its vehicles. Like an almost-forgotten beauty queen contestant, this bizarre four-wheeled contraption was just waiting for its picture to be taken, and to be discovered. We began our little Riverwest tour with a home making a political statement and we end with another home doing the same. Like the die-hard “Recall Walker” dissenter, this ingeniously homemade HIllARY Clinton sign, made out of painted tree branches and wire – which blazes in the night with Christmas tree lights – remains proudly and defiantly up, in this very strange Age of Trump. We all know who the people’s choice was in this election. T’was a relatively serene midweek afternoon walk, with not a lot of people out, but plenty of life still abounded in our good, old neighborhood.